So after two fantastic years at my current job, I decided it was a good time for me to move on. 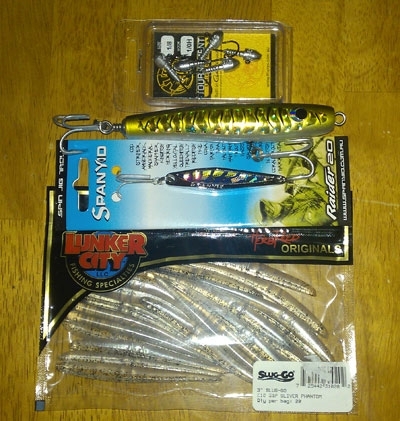 As a parting gift, the workmates chipped in to get some fishing stuff for me (thanks guys!) as they knew how much of a fanatic I was. So in between jobs, I have asked for a week off, so I’ll be trying to free up some time to do a bit of fishing as well. The heavier jig heads will come in handy with the wind predicted to pick up, and the raider will get a go in the summer when the pelagics come out in numbers.